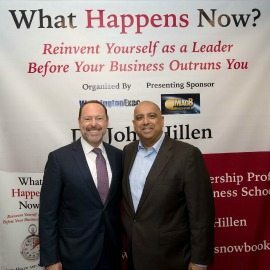 The book, co-authored by Dr. John Hillen and Dr. Mark Nevins, discusses what happens when an organization’s growth outpaces its leaders’ skills — and how to reinvent themselves. 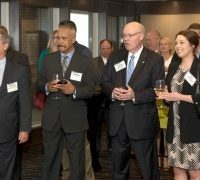 The event was organized by WashingtonExec and held at the Tower Club in Tysons Corner. 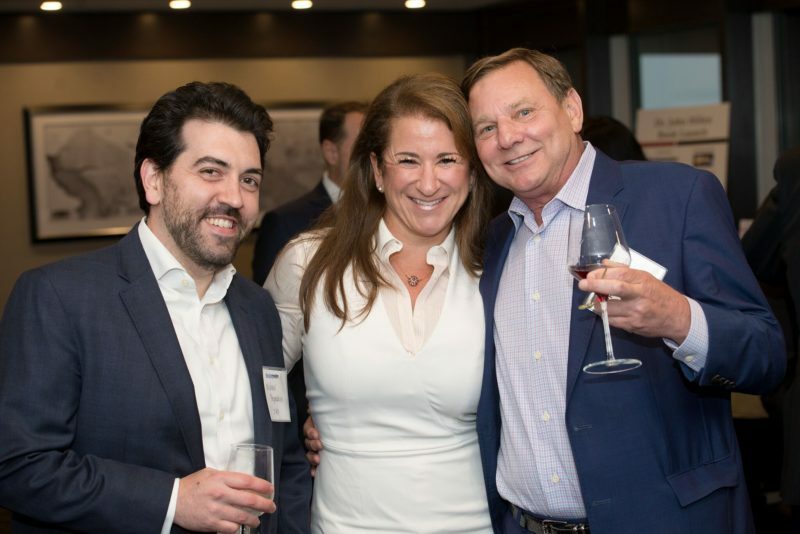 A special thanks goes to presenting sponsor MacAulay-Brown, Inc. (MacB), silver sponsor SOS International LLC, book sponsor Array Information Technology and beverage sponsor RSM. 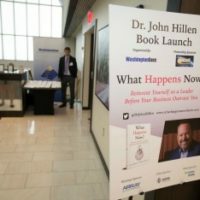 Hillen said nearly each of the leaders at the event contributed to the book in some way. 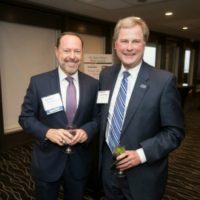 Sid Fuchs, President and CEO of MacB, said it was wonderful to see so many of Hillen’s friends and colleagues at the event. 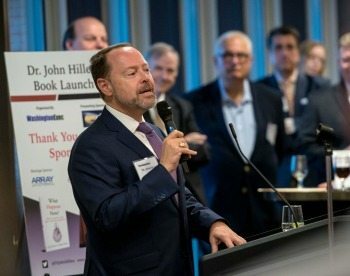 Fuchs was also the emcee for the evening and introduced Hillen to the crowd. 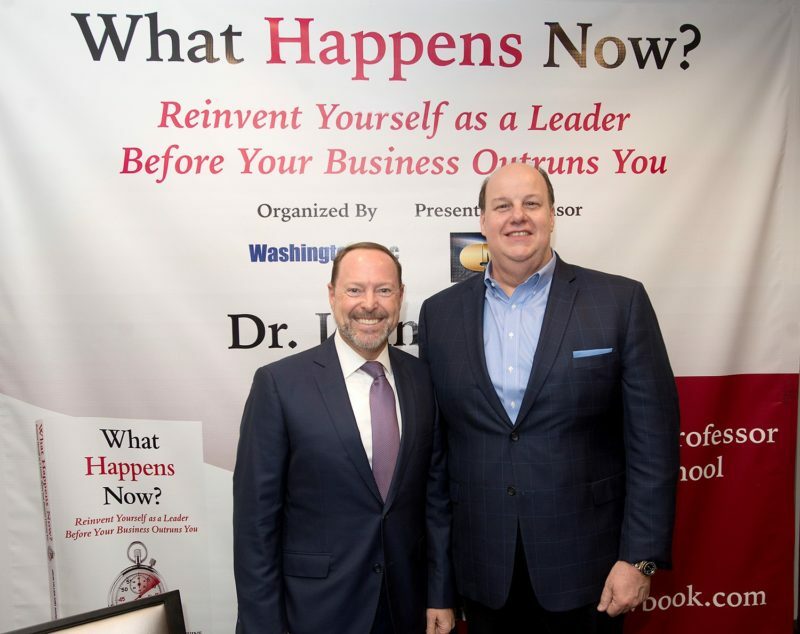 “If you’re a leader, you can engineer your way through many of the challenges of complexity, but you’ll need to reinvent yourself personally if you have lagged in developing new skills, behaviors and mindsets for a changed organization and higher level of performance,” according to a synopsis of the book. 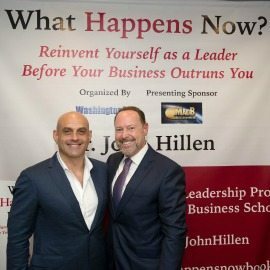 The book details seven points at which leaders often stall and how to navigate toward personal growth and organization success. 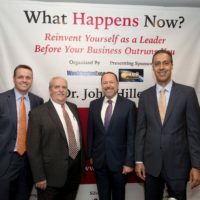 Hillen is the executive in residence and professor of practice in the School of Business at George Mason University, where he and Array President and CEO Sumeet Shrivastava were connected as early drivers of the university’s GovCon initiative. 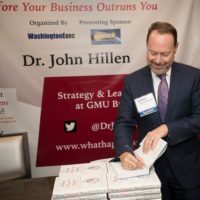 Hillen, a decorated combat veteran and business leader in the national security community, has been honored with numerous business and military awards. 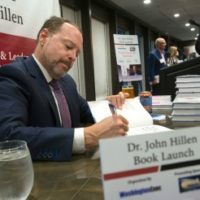 He moderates leadership seminars for The Aspen Institute, writes a monthly column for Washington Technology and has authored several critically acclaimed books and many articles.